Increasingly, the world relies on lithium-ion batteries. However, the battery’s underlying tech has room for improvement. Evidently, major automakers know where that improvement will come from. As a result, Ford has invested in a solid-state Li-Ion battery startup. Solid-State Li-Ion batteries aren’t expected for a decade. Nevertheless, some aren’t willing to wait. Currently, electric vehicles and most consumer electronics are powered by liquid-state batteries. These batteries power increasingly sophisticated Smartphones. However, solid-state models will more than double battery life and performance. Colorado-based startup “Solid Power” thinks it can develop the technology. 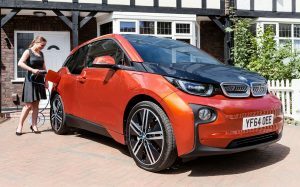 Moreover, it thinks it can make a cost-effective model for EV producers quicker than the competition. As a result, big-name investors have come forward. Ford, Hyundai, and BMW all have a stake. The company incorporates a high-capacity lithium metal anode. Ultimately, the solid-state cell has 2-3 times more energy capacity than liquid-state batteries. Additionally, solid-state Li-Ion batteries offer several other benefits. Firstly, they’re much safer. Solid-state batteries don’t include flammable liquid electrolytes. The lack of safety features allows for greater storage capacity. Additionally, they are highly compatible with modern EVs. The batteries can be molded, fitting any chassis. The world welcomes such innovation. Currently, most of the world’s automakers are eco-conscious. Furthermore, Smartphone and grid storage applications would benefit greatly. Perhaps “Solid Power” will accelerate global EV adoption rates. The secret’s out: the world’s auto industry is changing. 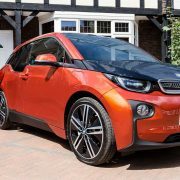 Consequently, a report suggests the electric vehicle industry has entered its fastest growth phase. As a result, immense sales growth is expected in several key markets. Moreover, EVs are already outselling gas-powered models in Norway. This will also happen very soon for both Denmark and Sweden. Ultimately, rapid technological improvements have helped usher in this new era. Moreover, greater battery range and charging station access have lured consumers. From an economics standpoint, EV sales follow an ‘S’ curve. To explain, sales start slowly, as supply outpaces demand. Then, demand starts to drastically outpace supply. Evidently, government policy has helped. China and Europe have enjoyed immense success with their respective tax breaks and eco-conscious initiatives. Moreover, even the United States might revive its expired EV tax credit. As a result, automakers have more incentive than ever to produce electric models. Currently, nearly every major automaker has announced EV plans. Harley-Davidson will soon roll out a line of electric bikes. Similarly, energy titan Dyson is manufacturing its own fleet in Singapore. Furthermore, major brands like VW and GM have determined that going green is good for business. Moreover, they’ve concluded that sticking to only gas-powered vehicles is financial suicide. Inevitably, this shift has sent ripples across multiple sectors. Most noticeably, mining and industry. As electric vehicles grow in popularity, the world’s reliance on oil and gas slowly diminishes. Instead, the minerals involved in lithium-ion batteries grow in value. Li-Ion batteries power electric vehicles, and no alternative has presented itself. Primarily, they require lithium and cobalt. Perhaps the industry’s fastest growth phase will speed up the shift away from fossil fuels. 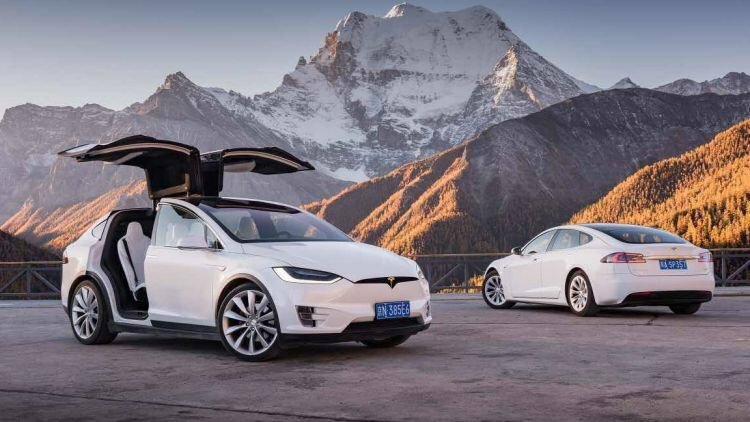 China is serious about electric vehicles. Consequently, it’s the global leader in EV adoption. However, the Chinese government’s interest in clean energy has affected global automakers. 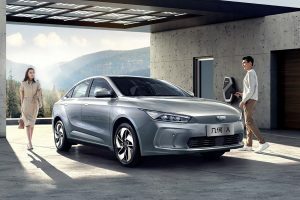 As a result, brands like Geely are forced to develop robust electric car fleets. 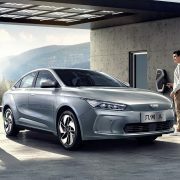 A primary investor in Volvo, Geely has announced its Geometry series. Evidently, the series is designed to challenge the Tesla Model 3. The American automaker has experienced immense global success. 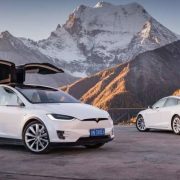 Ultimately, Tesla has dominated the Chinese market. Particularly, Elon Musk & Co. have enjoyed immense success in the luxury EV space. However, brands like Geely threaten Tesla’s market dominance. Nevertheless, the Geometry series won’t be targeted at the Chinese market. Instead, Geely looks to Singapore. In a statement announcing the Geometry series, it admitted the city-state will be its primary target. After all, Singapore is a haven for high-earners. Geely’s Geometry fleet doesn’t come cheap. The Geometry A is the automaker’s first entry into the electric space. Evidently, there is serious interest among consumers. Geely has announced they’ve already received more than 26,000 orders. This success is despite a trade war with the United States. Additionally, cautious consumers and sluggish economic growth plague Chinese producers. However, automakers will spend over $300 billion on EV tech over the next 5 to 10 years. Moreover, China is the investment’s primary target. 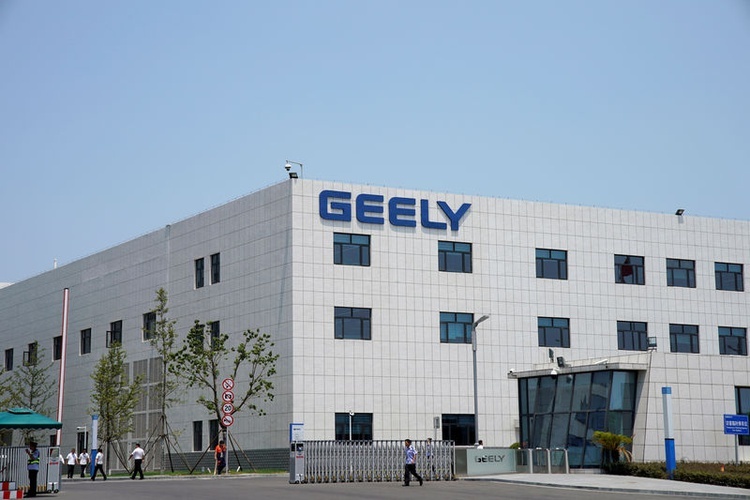 Ultimately, Geely’s success is good news for clean energy advocates. Let’s hope the Geometry series sparks enough competition to encourage serious innovation. Ultra Lithium Inc. A team of clean energy experts with a finger on the pulse of clean energy news, ULI is a lithium exploration company with holdings in Argentina, Canada and the US (TSX-V: ULI, OTCQB: ULTXF and Frankfurt: QFB). Evidently, BC’s transportation grid may be carbon neutral by 2040. A new bill may pass that eliminates gas-powered vehicle use province-wide by this target date. Dubbed the BC Zero Emission Vehicles Act, it requires all vehicle sales to be zero emission. Consequently, clean energy advocates have embraced the vision. 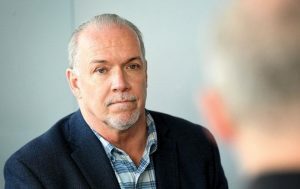 Moreover, Premier John Horgan (pictured below) champions the sentiment. BC becomes the first region in North America to set such a target. 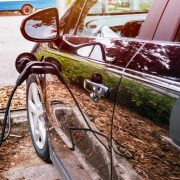 The Act will accelerate EV adoption in two ways. Firstly, it will make them more available to consumers through tax credits. Secondly, it sets requirements for automakers. 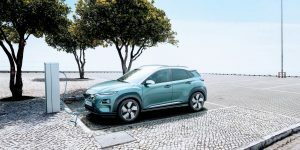 10% of all sales must be electric by 2025. By 2040, that target hits 100%. However, BC isn’t alone in its clean energy aspirations. Currently, China and many European countries have set similar targets. Even the United States might revive its expired EV tax credit. Furthermore, the auto industry’s electric shift has overhauled the global supply chain. Namely, developing countries like Indonesia and India aim to become EV battery production hubs. Similarly, the world’s largest automakers have all released EV plans. Everyone from Harley-Davidson to Dyson(?) is on board. Moreover, brands like Volkswagen and GM have determined that gas-powered vehicles are bad for business. Ultimately, the BC Zero Emission Vehicles Act would take effect in 2020. British Columbians would witness a 20-year cycle where gas-powered vehicles become relics. Whether or not the bill passes, it represents an eco-conscious spark. Regardless, BC would reduce its reliance on Albertan oil. Instead, it would look to the lithium reserves of South America and Ontario. After all, lithium-ion batteries would replace combustible engines. Currently, over half the world’s lithium is found in South America’s Lithium Triangle. The region spans Argentina, Bolivia, and Chile. Particularly in Argentina, the environmental toll of extracting lithium is minimal. Soon, BC will reap the benefits, be it under an NDP coalition or otherwise. A Dutchman has set an EV record. Evidently, he’s set a global standard for clean transportation tech. Wiebe Wakker set off on a 3-year voyage in 2016. It spanned 33 countries and involved over 59,000 miles. 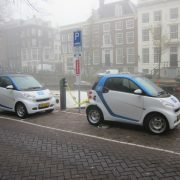 Part of the Plug Me In Project, Wakker used exclusively vehicles powered by lithium-ion batteries. 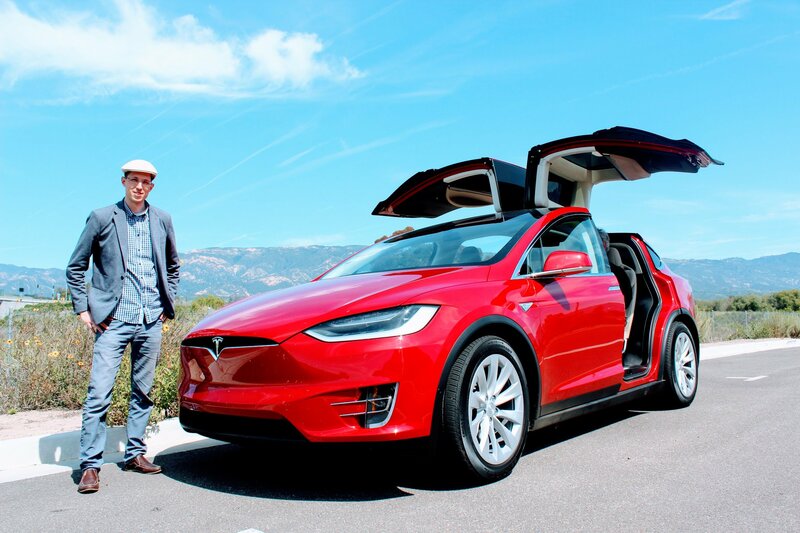 Surprisingly, he didn’t opt for a Tesla Model X. Moreover, he didn’t even use a luxury EV. Instead, he traveled the globe in an electric station wagon. Affectionately called the “Blue Bandit”, Wakker’s trip was by no means stress-free. Evidently, he ran into many problems. After all, EV charging stations are few and far between in the Australian countryside. Consequently, he relied on friendly strangers. He went only where people could offer him a charging station. Amazingly, he spent no more than $300 on electricity throughout the trip. Granted, much of it was covered by intrigued strangers who followed his travels online. Most of the trip took place in the Australian outback. Ultimately, his goal was to spread electric vehicle awareness. He chronicled his adventures on social media and ended up setting a second EV record. Last year, he traveled 606 miles on a single charge in a Tesla Model 3. Evidently, the lithium-ion batteries that power electric vehicles are pushed to the limit by trailblazers like Wakker. Moreover, the underlying technology benefits. Soon, Wakker’s journey won’t seem to wacko. Norway is an electric vehicle darling. Consequently, Elon Musk has praised the Scandinavian nation for its progressive policies. 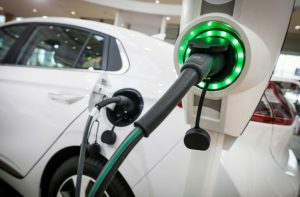 In March 2019, electric vehicles outsold gas-powered models nationwide. Similarly, the Netherlands EV share of total auto sales is also encouraging. 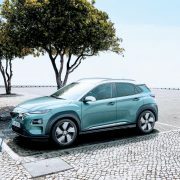 In that same month, 10% of all Dutch cars sold were electric. Moreover, the Tesla Model 3 was the top-selling vehicle. Period. Evidently, the eco-conscious country is a clean transportation trailblazer. Furthermore, the Netherlands EV share has been promising throughout 2019. So far, over 7% of all vehicle sales are electric. This number is expected to rise as the year progresses. The Dutch have always been eco-conscious. Consequently, the nation’s infrastructure is perfectly set up for cycling. Most Dutch get around via pedal bike. Similarly, more of the nation’s drivers rely on batteries instead of gas. 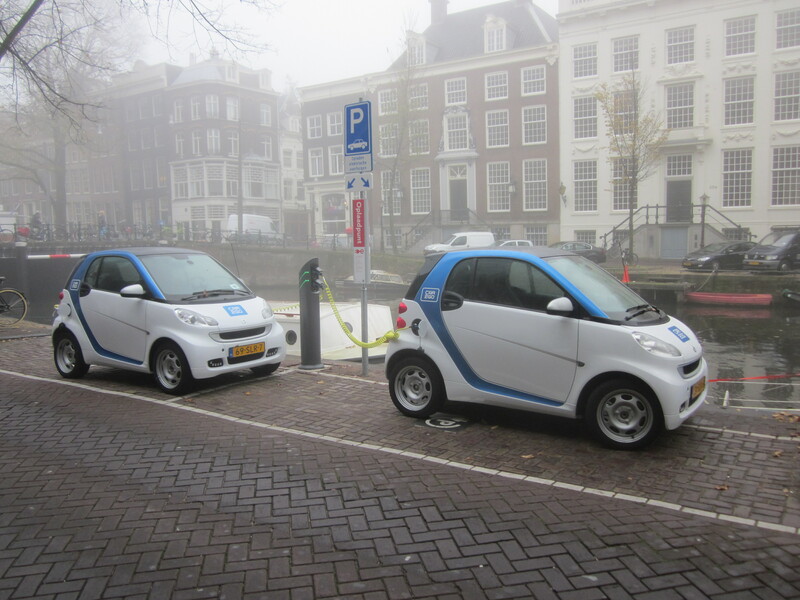 Ultimately, the world can learn from Holland’s approach to EV adoption. Most importantly, Fastned has helped accelerate the switch for consumers. The company offers one of the world’s largest fast-charging networks. When the company installed Tesla adapters in March 2016, its popularity skyrocketed. 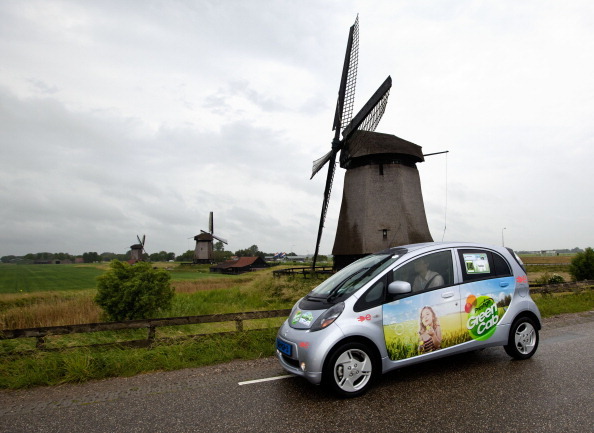 Evidently, Holland has solved a problem that plagues EV adoption elsewhere. Charging station access scares off potential owners. Despite Tesla’s fast-growing supercharger network, gas stations still wildly outnumber American charging stations. However, this will change with time. 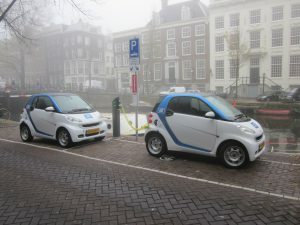 For now, countries like Holland and Norway enjoy the first taste of the savings offered by electric transportation. Furthermore, their buy-in allows automakers and governments to pump billions into EV battery research. As a result, the lithium-ion batteries powering electric vehicles will offer better ranges than gas-powered models. It seems like everyone who voted against Trump in 2016 is a democratic hopeful. However, one name appears to lead the pack. Evidently, Alexandra Ocasio-Cortez’s youth and progressive platform have separated her from the competition. 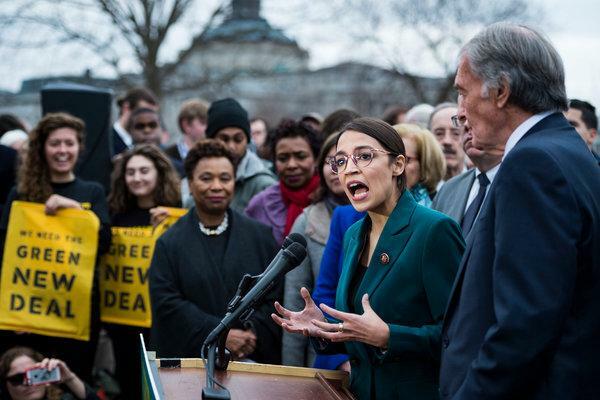 Furthermore, her proposed “Green New Deal” would accelerate America’s commitment to clean energy. Moreover, it would increase the country’s reliance on lithium-ion batteries. Currently, the country has backed out of the Paris Climate Accord. However, the Trump Administration hasn’t turned its back on electric vehicles and grid storage technology. In late 2017, an executive order labeled lithium as vital to the nation’s economic health. Consequently, the mineral plays a major role in powering clean energy technologies. Lithium-ion batteries power everything from Smartphones to the Tesla Model X. 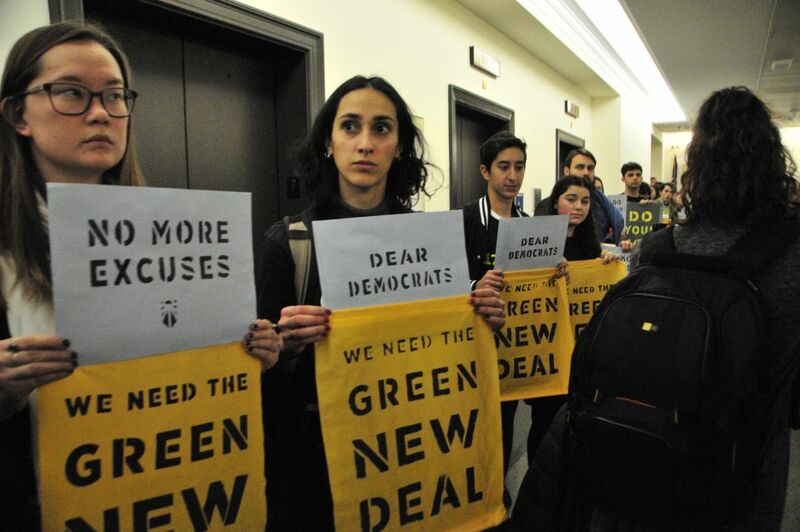 Nevertheless, Cortez’s Green New Deal (GND) runs circles around Trump’s environmental plan. It’s ambitious but enticing. Ultimately, it plans to eliminate national CO2 emissions by 2050. How it does this is of great interest. Firstly, it will expand zero-emission vehicle infrastructure and manufacturing. Currently, EVs make up under 3% of 2018 national auto sales. This will change. Secondly, the GND will expand on the $30 billion invested by the military in power grids. Storing energy in massive lithium-ion batteries, urban hubs will be powered by renewable energy. This is already a reality in Delhi, India. 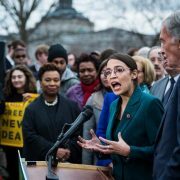 Thirdly, Cortez plans to invest in clean energy tech. In 2018, the Department of Energy invested $15 billion into this sector. This number will inflate under the GND. Additionally, serious investment will go into high-speed rail and public transportation projects. Currently, the transportation industry is responsible for 29% of Greenhouse Gas emissions. Cortez’s progressive views are echoed by the global community. Evidently, Germany and China echo the Democratic call for electric vehicle adoption. Additionally, most of the world’s largest automakers have gone green. This is huge, as global transportation is largely responsible for climate change. 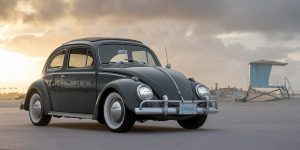 However, brands like GM, Volkswagen, and Harley-Davidson aren’t electrifying their fleets purely for environmental reasons. They’ve determined that producing electric vehicles is paramount to a healthy bottom line. If Cortez wins the White House, you can bet that motivation will intensify. 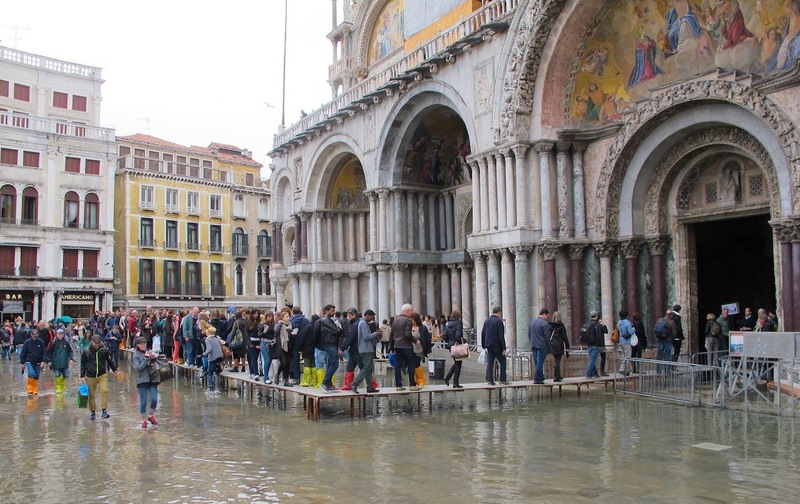 Italians know the effects of climate change more than most. 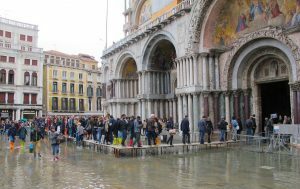 Currently, the city of Venice is constantly under environmental threat. As a result, water levies have been installed along the city’s perimeter. However, this solution isn’t permanent. Instead, the nation’s power transmission head recommends growing Italy grid storage capabilities. 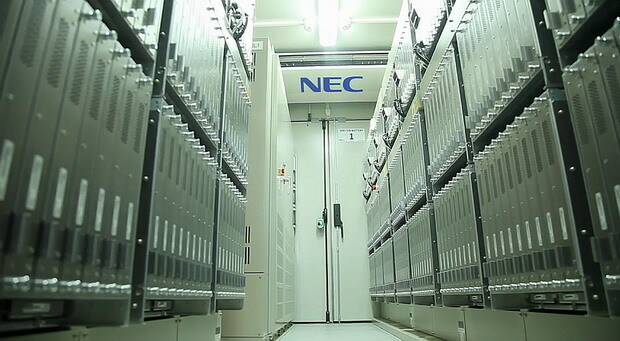 Grid storage technology uses lithium-ion batteries to power entire building complexes. The technology is already widely used in India. Currently, over 2 million Delhi residents receive power from a grid storage project. However, Italy has a long way to go. 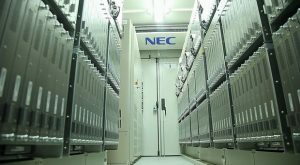 Reports state the country will need 6 gigawatts of storage by 2030. Meanwhile, it owns just 4.8. Unfortunately, this involves a $7 billion investment. Luckily, utility behemoth Terna could front the money. Today, almost 50% of the country’s energy comes from gas. Obviously, this violates the standards set by the Paris Climate Accord. Furthermore, the country will benefit enormously from a reduction in carbon emissions. Granted, European countries are often hampered by their neighbours pollution behaviour. Nevertheless, a transition to renewables will improve air quality and reduce the environmental impact of climate change on the average Italian. 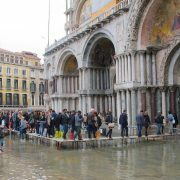 Additionally, the Italian power transmission network also recommends hydroelectricity. Italy’s desire to clean energy isn’t an anomaly. Evidently, most of the world’s largest automakers and governments embrace a collective push to clean energy technologies. Even the Trump Administration is on board. 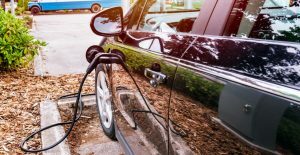 It may revive its expired electric vehicle tax credit. As global carbon emissions rise, lithium-ion batteries are increasingly leaned on to supply zero-emission storage solutions. Evidently, Italy is aware. The era of fake news strikes again. However, this story doesn’t involve Donald Trump. Instead, this story laments an assault on facts in the land down under, as conservative pundits endorse a fake EV news campaign. Ultimately, it will hurt the nation’s economic future. Most of the world’s nations and automakers have gone green. However, the transition is no longer purely for environmental reasons. Volkswagen has done so in response to financial pressures. Consequently, failing to move away from gas-powered vehicles isn’t good for business. Granted, just 3% of 2018 US auto sales were electric. However, the technology behind electric vehicles rapidly improves. Soon, their digital interfaces will surpass the capabilities of combustible-engines. Evidently, the country’s labor party is aware. It aims to pass legislation targeting 50% electric auto sales by 2030. In response, the coalition running the government chose to spread misinformation. Firstly, that electric vehicles can’t tow boats. Obviously, this isn’t true for all electric models. Secondly, the party suggested that long-distance travel is out of the question. 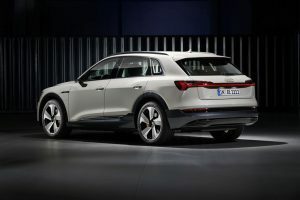 Meanwhile, several 2020 models will reach 600km on a single charge. Lastly, they stated that camping with an electric vehicle is impossible. In reality, electric cars are a major asset. They serve as a battery to charge campsite electronics. Evidently, the prime minister’s hatred of electric vehicles doesn’t make much sense. Currently, Australia is one of the world’s most successful lithium producers. Granted, the mining sites in question aren’t the most eco-friendly. However, China’s invested massively in Australian lithium. The mineral is used to power China’s electric future. The government’s resistance to electric vehicles can’t last. The country will be hard-pressed to compete economically once the global transportation grid electrifies. After all, self-driving and electric vehicle technology easily integrate. Additionally, grid storage applications and consumer electronics all rely on lithium-ion batteries. For its own good, Australia’s conservatives would be wise to abandon its fake EV news campaign. Its economic future will benefit. Unfortunately, electric vehicle production isn’t as eco-friendly as electric vehicles themselves. However, this is set to change. 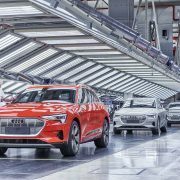 In Brussels, Belgium, the Audi E-Tron electric SUV facility is carbon neutral. This means it doesn’t negatively impact the environment. Meanwhile, most EV manufacturing facilities aren’t. This has monumental implications for a rapidly electrifying auto industry. Shockingly, a report found that EV production emits slightly more emissions than gas-powered vehicles. Nevertheless, this won’t last long. 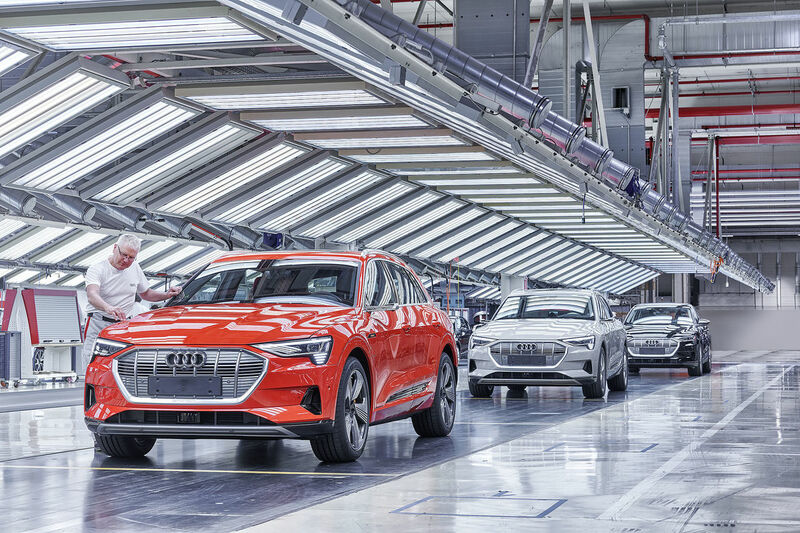 The Volkswagen-owned Audi E-Tron facility is making sure of it. and zero-emission transportation don’t typically produce frowns. Nevertheless, both corporations and governments want the environment to benefit before EVs leave the plant. Especially after “dieselgate”, Volkswagen is more eco-obsessed than ever. As a result, the group of companies made a decision. Evidently, the 540,000-square meter is a hub of innovation. Most notably, the heavily-automated facility stores most of its energy in lithium-ion batteries. These are the same batteries that power the electric vehicles the facility assembles. Evidently, the photovoltaic farm on the building’s roof uses the same logic that powering plug-in vehicles. 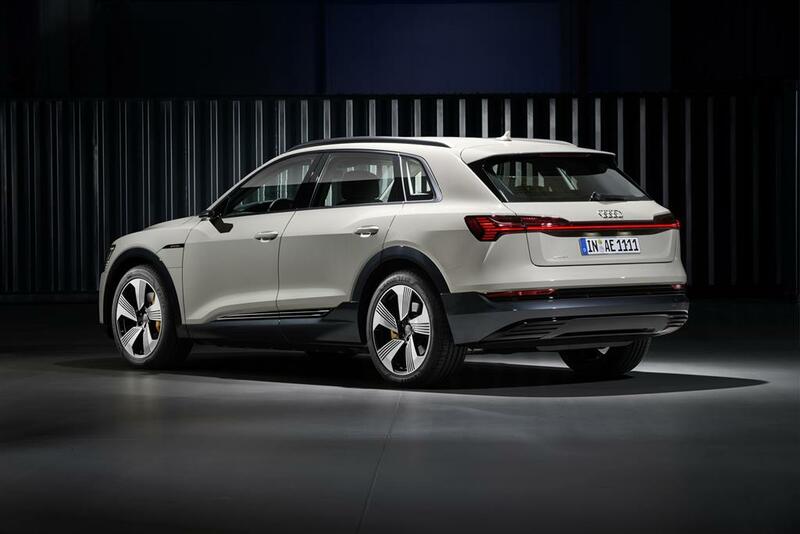 The world’s automakers are set to benefit from Audi’s inventive spirit. Moreover, the facility will help accelerate the switch to clean energy transportation. Every automaker from Harley-Davidson to Honda to Toyota to Dyson(?) will take advantage. 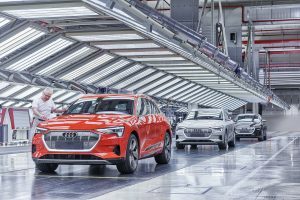 Namely, they’ll be able to leverage Audi’s findings to create their own eco-friendly facilities.